Check out the ONE Musicfest lineup! Get ready to experience this year’s legendary lineup in a brand new location. ONE Musicfest is taking the festivities to the heart of Atlanta at Central Park. The biggest urban music festival in the Southeast will be taking place in an oasis in the city and is bringing you more intimate vibes than ever before. Located at 467 Central Park Place NE, Atlanta, GA 30312, all of your festival needs and wants will be a comfortable walk away. You won’t have to worry about going miles across the park to grab a drink, meet a friend, or catch the next artist that’s on your list. What’s even better about this location, you ask? You don’t need to drive and pay a gazillion dollars to park. 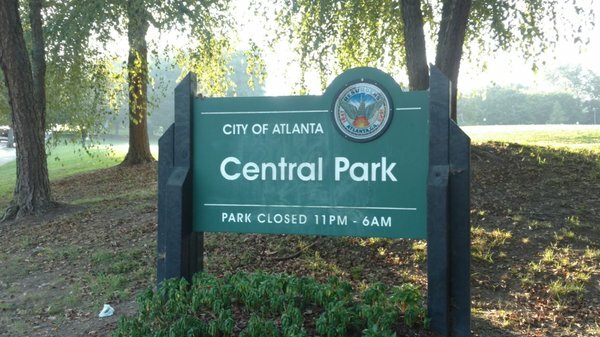 Take advantage of Central Park being located in historic Old Fourth Ward and hop on public transportation. Hop on MARTA to the North Ave train station and walk down to the lawn. Make some friends on the way down or practice your last minute dance moves for ATL Crunkfest. ONE Musicfest is known for having multiple stages, but we know the distances between platforms have not always been the friendliest. This year’s festival will feature two main stages and the distances between them will be much shorter. A quick walk between your favorite artist sets without running all over the park and risking knocking over someone’s drink on the way. Ladies! The park is gravel free. Much friendlier on your cute shoes. Meet us on the lawn and cop a squat on the grass. More acres of land means more room for food and drinks. The new location will allow us to accommodate more bars for all of your turn up needs. Enjoy a better stage viewing experience at both stages during ONE Musicfest. Unlike previous years where your lawn seating might have been thrown off by the lower level seats and railings, Central Park will offer a more open experience for everyone to enjoy no matter where you’re at. ONE Musicfest is continuing to level up each year. If you haven’t purchased tickets yet, it’s time to stop sleeping before they’re sold out!